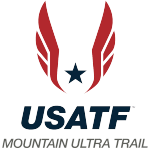 Houston, Texas – Trail Racing Over Texas, the largest community-based trail racing organization in the state of Texas, today announced it’s upcoming Franklin Mountains 50k Trail Run will be featured as part of the 2016 Altra U.S. Skyrunner ULTRA Series. 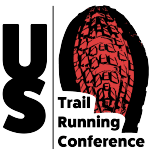 The race, scheduled for September 10th 2016 in El Paso, Texas, is the state’s first ultra running race to be included in the series. The Altra U.S. Skyrunning Series supports 15 events in the continental U.S. and allows runners to accumulate championship points in each of the SKY, VERTICAL and ULTRA categories. SKY races cover 22 km to 50 km with at least 1,300 meters of positive vertical climb. Vertical races feature 1,000 meters of positive vertical climb without exceeding 5 km in distance and the series’ ULTRA races cover 50 km and over. The race series draws top athletes from across the globe and offers runners the opportunity to race the most difficult and picturesque mountain races in America. The Franklin Mountains 50K Trail Run offers views of 3 U.S. states and 2 countries and features more than 8,500 feet of vertical gain and descent along its trails. The Franklin Mountains Trail Race runs September 9th through 11th and will also include a race to the top of the North Franklin Peak as well as a half marathon, 10 km and 5 km trail races. All races are fully supported and offer amazing views of the state.